Supermarkets are now being pressured to ban reusable plastic bags after they scrapped single-use carriers just months ago. Coles and Woolworths dropped single-use plastic bags in New South Wales, Victoria, Queensland and Western Australia in the middle of this year. The stores instead offered thicker, reusable bags costing 15 cents each. Environmentalists now want the retailers to remove plastic bags altogether as many of them end up as litter or in landfill. 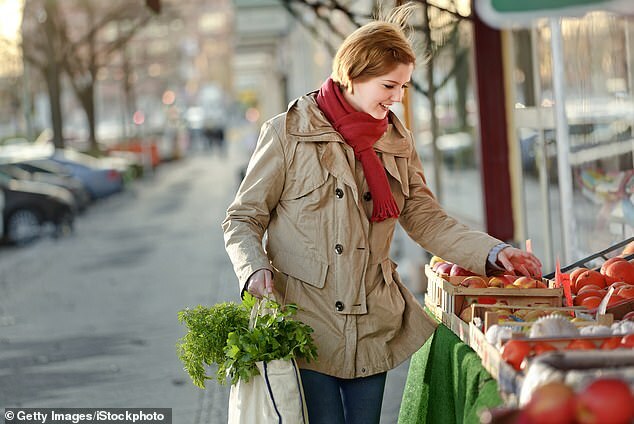 ‘Let’s finish the job by introducing bag-ban legislation and governments and retailers getting rid of these flimsy reusable thicker bags,’ environmental group Boomerang Alliance director Jeff Angel told the Herald Sun. Mr Angel said ‘plenty of strong reusable bag types’ should be used instead of plastic, such as canvas carriers. 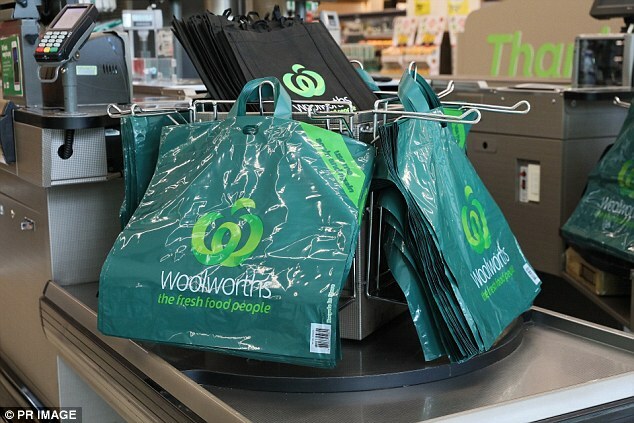 Woolworths head of sustainability Adrian Cullen said shoppers were happy to use the thicker plastic bags, and were also purchasing canvas bags for $1. ‘Together with customers we’ve taken more than 700 million single-use plastic bags out of circulation since June which is great for our waterways and marine life,’ he said. Greenpeace campaigner Zoe Deans said people needed to stop being dependent on plastic bags. ‘While reusable plastic bags are much better than the single-use option, we still have concerns about how many of these are being handed out and whether or not people do indeed reuse them,’ she said. A Coles spokeswoman said they intended to continue to offer new, reusable plastic bags for sale to provide for ‘customers who forget to bring their bags from home’. Coles and Woolworths’ decision to stop offering single-use disposable plastic bags mid-way through the year was initially met with swift public backlash. But three months on the radical change has translated to an 80 per cent drop in the consumption of plastic bags nationwide, according to the National Retail Association. ‘Indeed, some retailers are reporting reduction rates as high as 90 per cent,’ the NRA’s David Stout said.